Some of the on-air personalities from WVIT (NBC CT) were at an event this weekend handing out activity books to the kids. Of course, FTVLive spies were also at the event and we to share a couple of pages of the books with you. 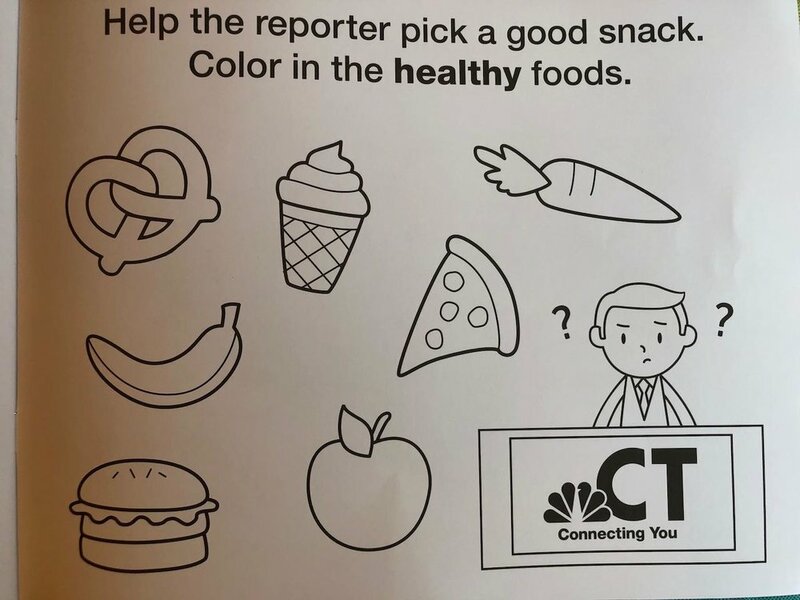 Can you help this Reporter eat a healthy snack? I don't know about you, but I'm all over the pizza and ice cream. Also, can you help the Reporter make it to the breaking news scene? If you can get the Reporter there really fast, she'll have time to take a selfie.